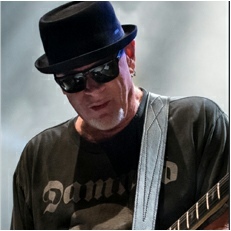 Born into a musically gifted family, GREAT WHITE founder, Mark Kendall grew up in Huntington Beach, California. His father played jazz trumpet; his mother sang her heart out to jazz tunes before adoring audiences. His grandfather, too, was a virtuoso on the piano. Citing Jimi Hendrix, Cream, and The Doors as early influences, Kendall’s passion and natural abilities got him hooked on guitar. When not in the recording studio or on stage with GREAT WHITE, Kendall has been invited to perform in the Vegas Rocks Magazine All-Star Jam alongside contemporaries George Lynch, Vince Neil, Zakk Wylde, and more. Kendall is a solid supporter of MusiCares, whereas his relentless efforts to help those seeking a sober life have been expressed in feature stories on Fox News and numerous national radio programs. Kendall is a baseball enthusiast (go Dodgers) and boasts skill in both billiards and poker, all of which he showcased on the popular Joe Rogan Experience podcast. Soon to be released will be their documentary along with a live performance from The Hard Rock in Las Vegas. Mark has been married for 20 years to his beautiful wife Bridget and has 4 children, Jonathan, Taylor, Shane and Ashley and one grandson, Noah Jagger. 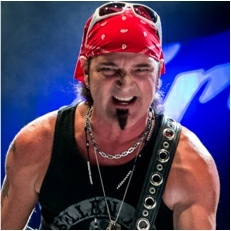 Michael is no stranger to music having played with Great White for twenty-one years, with several platinum selling studio albums to his credit. He is quick witted, has a memory that won’t quit, and is always gracious to his fans. He has never grown tired of the life of a musician, having kept busy playing with CC Deville’s Samantha 7 before joining the ranks of Night Ranger, following Great White’s demise. He thoroughly enjoys the camaraderie of Night Ranger, having known Jack Blades for twenty-three years. He really fits right in. 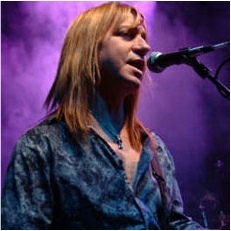 Of half Scottish and half Russian (Georgia) decent, Michael John Lardie was born on September 8, 1958 in Anchorage, Alaska and raised in Sacramento, California. The oldest of six boys, he grew up listening to bands like the Beatles and Led Zeppelin, and took an early interest in playing music. A man of many talents, he plays a wide range of instruments including piano, synthesizer, guitar, banjo, flute, harmonica, mandolin, bass, sitar, percussion, and has also showcased his vocal talents. He has been involved with many different bands as an arranger, a producer and an engineer. An avid sports fan, he favors the Minnesota Vikings and the Twins. He also enjoys movies and surfing the web. 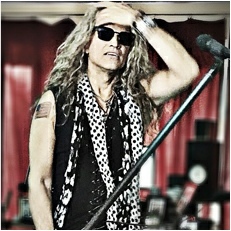 Chicago’s Scott Snyder joined Great White in 2008. The go-to guy and gifted bassist has been a natural fit to the brotherhood. Snyder’s instincts and versatility have elicited amazing chemistry on all Great White releases since Rising (2009, Frontiers). Snyder said he’s gained so much as a member of Great White. “Being able to play as much as we do, I'm able to hone my vocal and playing ability with finesse, as well as working with the band to be the tightest unit live, people notice a tight band, even a non musician notices,” Synder said. When not touring or recording with Great White, Snyder owns Rock Me Tattoo & Piercing Company. His artwork and attention to detail is just another extension to his approachable (most of the time very funny!) 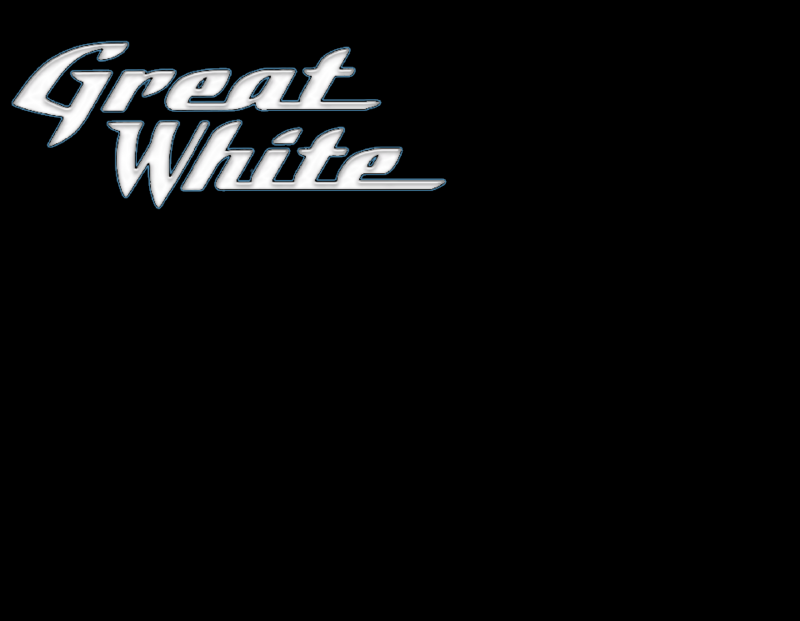 and creative presence – many of which lifelong Great White fans have eagerly embraced. dismay of his father, the coach and the team, Mitch chose music…and he’s never looked back. to choose one or the other, there was no contest,” says Malloy. appearance on The Tonight Show with Jay Leno. co-written with Victoria Shaw, won the International Songwriting Competition. was, it just wasn’t the right time,” said Malloy. set aside time to write and record his 7th album, MAKING NOISE. Therapy,’” he says with a smile. Audie Desbrow, a native of Southern CA, was born in Los Angeles and raised in Rosemead. 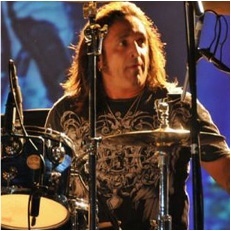 Audie began playing the drums at the age of two and at the age of 13 started his first band called Hog Bottom. At the age of 20 Audie started a band called Riff Raff which played many local clubs and parties. At the age of 29 Audie auditioned and landed the job as drummer for Great White. He claims Ringo Starr and John Bonham as his musical influences. Audie is married and has one son and three granddaughters.